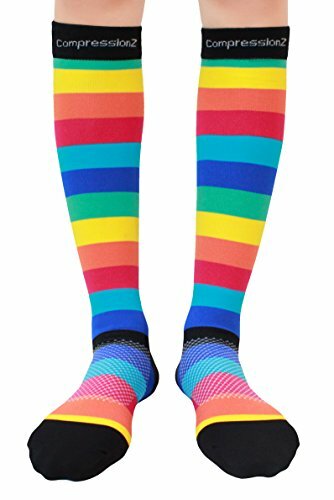 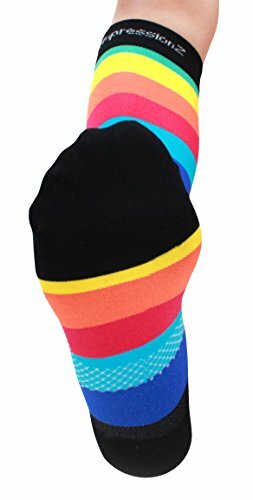 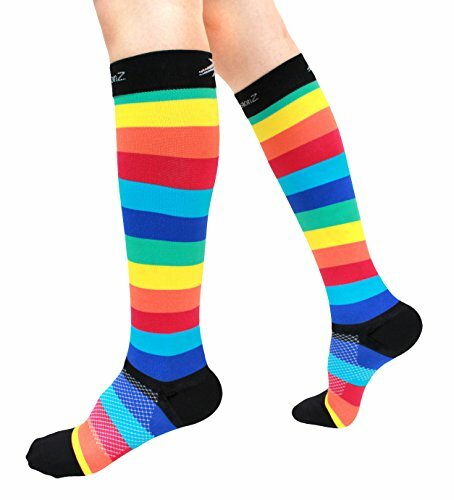 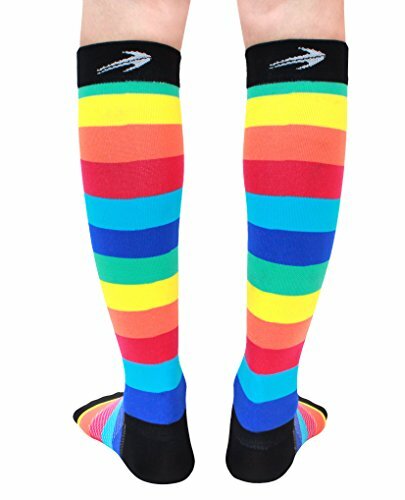 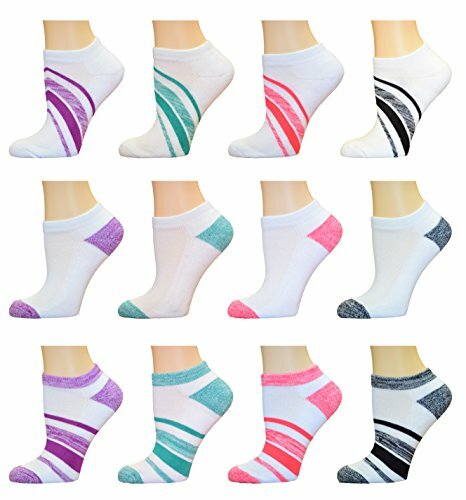 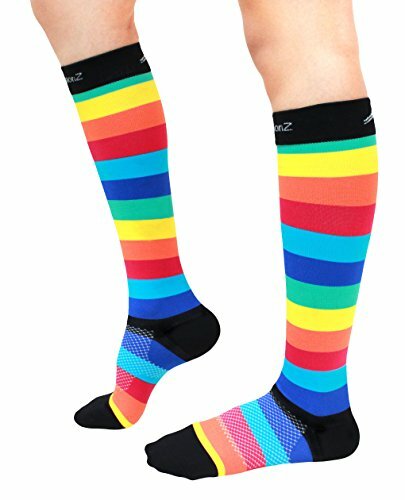 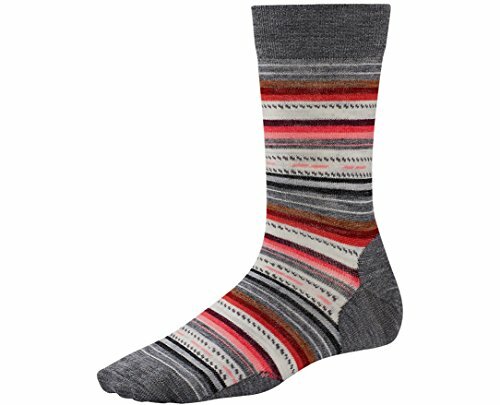 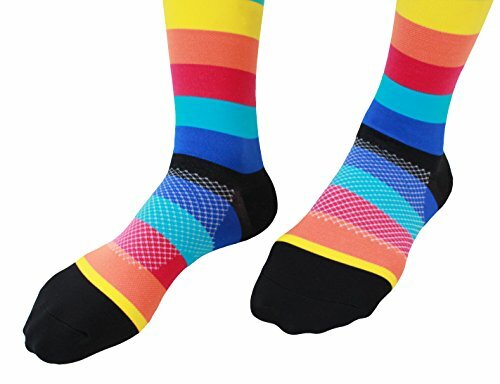 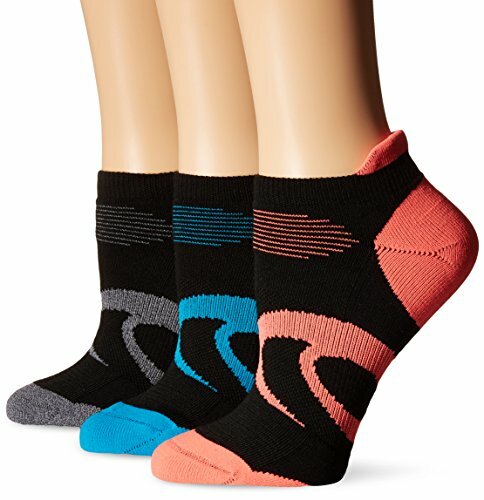 Compression Socks (Rainbow Stripes S/ 20-30mmHg) Men & Women Fun Running Casual Socks ~ Fitness Socks ~ Roman Fitness Systems - Your health and fitness is an important aspect of your life! 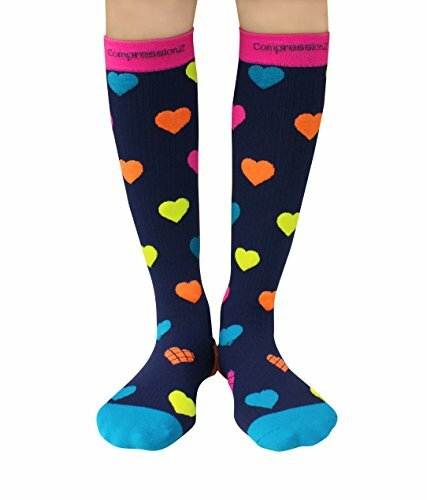 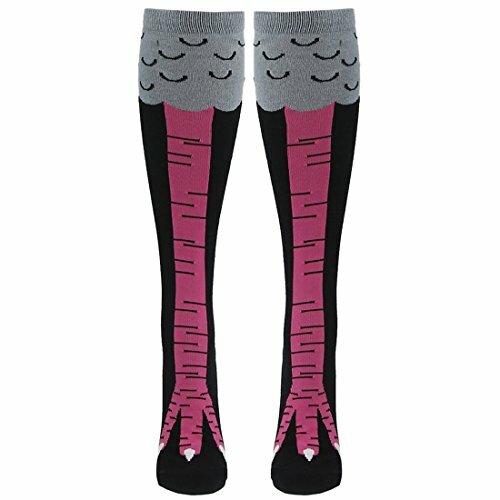 Looking for comfortable and quality Compression Socks, but want something more fun? 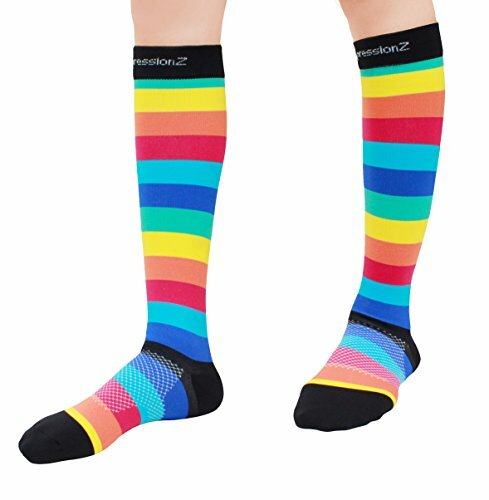 Time to let your individuality shine, and spruce up your wardrobe with our fun and colorful patterns! 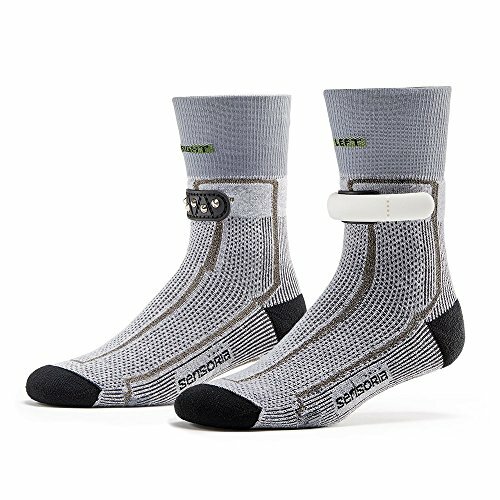 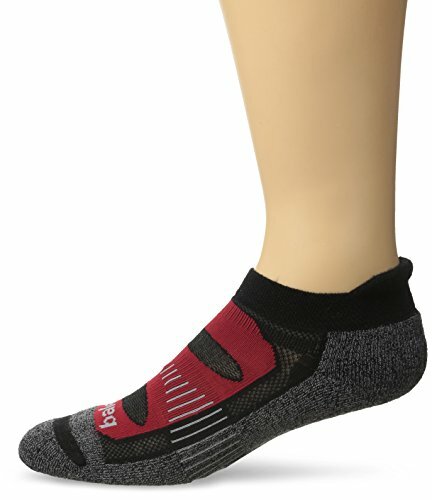 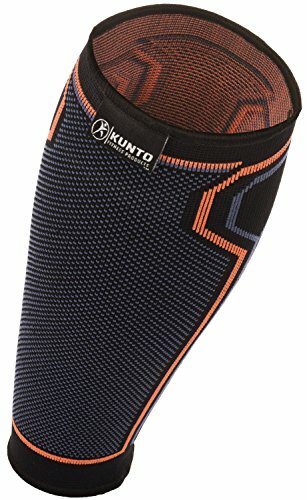 How Does CompressionZ Compression Socks Help You - Offers sturdiness and stability to your foot with a snug fit, and still allows for full range of motion - Reduce plantar fasciitis/ achiles tendon/ metatarsal/ heel pain symptoms and swelling - May help aid your recovery - Breathable and comfortable as we use anti itch material - Insulated to keep your feet and leg warm, and offer great heel/ arch support - Graduated Compression promotes better blood circulation - Stays in place and does not slide down - Retains shape even after multiple washes - Anti bacterial material to reduce odor - Allows greater flexibility & motion with no skin chafing or irritation Who Is This Suitable For - Runners - Basketball - Joggers - CrossFit - Athletes - Field Sports - Cross Training - Gym Workouts - Hiking/ Trekking - Office workers - Travelers on plane / long distance travel - Nurses/ Workers on feet for long hours - Bold individuals! 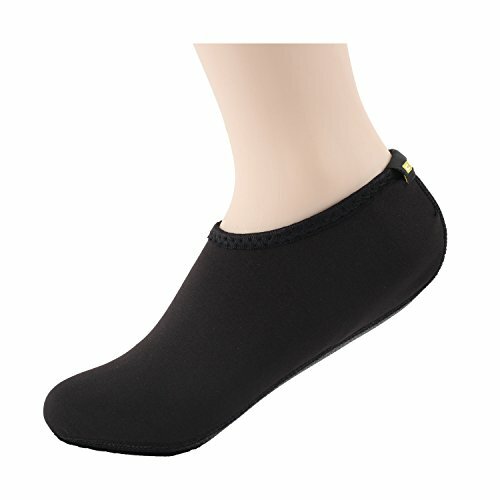 Basically, wear them during your regular activity, or when you're sleeping - anytime! 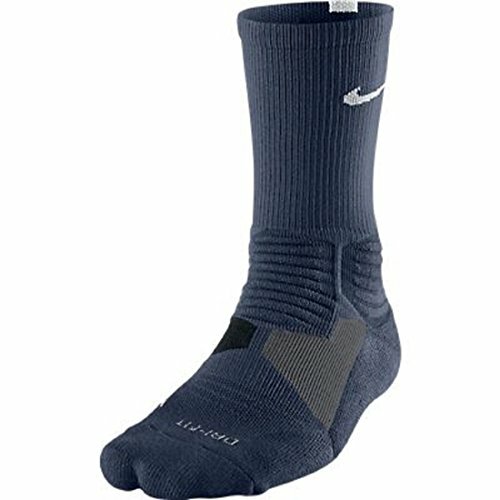 Kindly refer to size chart in product images. 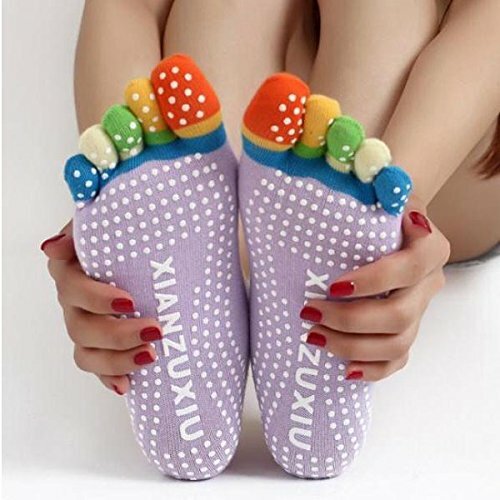 Sizing is based on US shoe size. 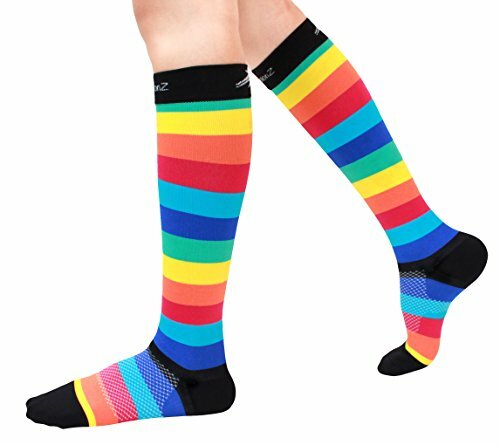 Men: Small 7 & Under Medium 7.5-10 Large 10.5-12 XL 12.5 & Above Women: Small 5.5-7.5 Medium 8-10.5 Large 10.5 & Above XL 13 & Above Grab yourself a pair or two during our special launch now!